If the G5 proves anything it’s just how little division there exists today between advanced Compact System Cameras and DSLRs. Its 16MP sensor and ISO 160-12,800 range makes it a close match for many enthusiast DSLRs, while the 3in display with 920k dots also proves to be comparable, with the added bonus of touchscreen control. Full HD video and 6fps burst shooting also gives more traditional cameras something to think about, as does the electronic levelling function. Fortunately, the camera’s high specifications are mirrored by a solid build and stellar performance, with a fast AF system, sound metering and respectable imge noise control at lower sensitivities. 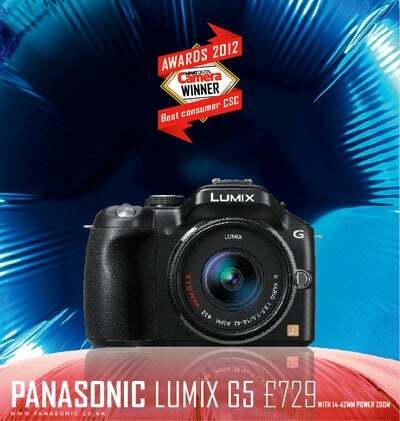 And, as if further incentive for investing in the Micro Four Thirds system was necessary, it’s worth remembering the G5 provides compatibility with the largest selection of lenses and accessories available for any CSC line.